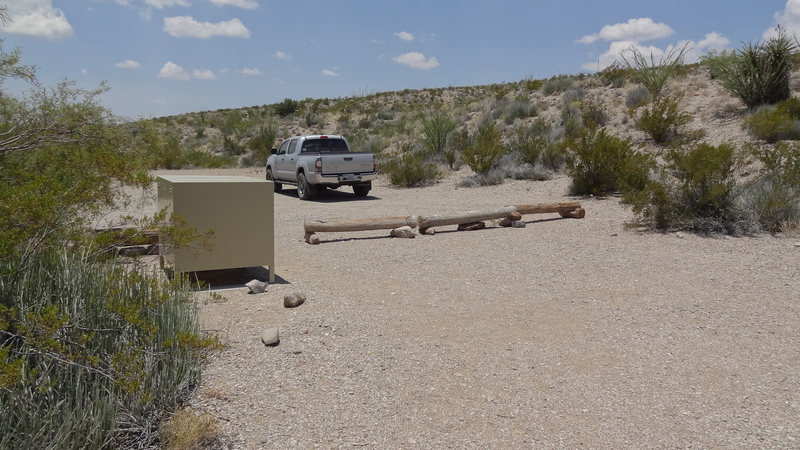 The McKinney Spring primitive campsite is located on the northern end of the Old Ore Road. 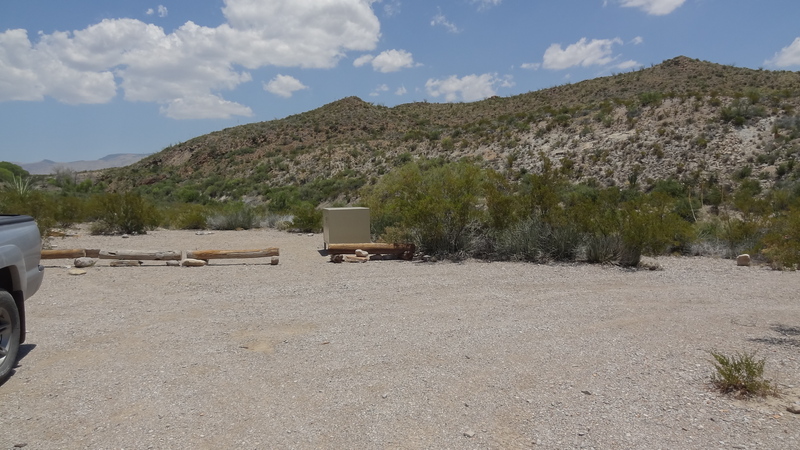 Via the Old Ore Road, 7.3 miles from the Dagger Flat Auto Trail (19.0 miles from the main paved road to Rio Grande Village and 2.0 miles north of Roy's Peak Vista Campsite). The access road to the campsite is only 50 yards long. High clearance is highly recommended and 4-wheel drive may be necessary after recent rains. Ask a Park Ranger for the latest road conditions. No shade available. 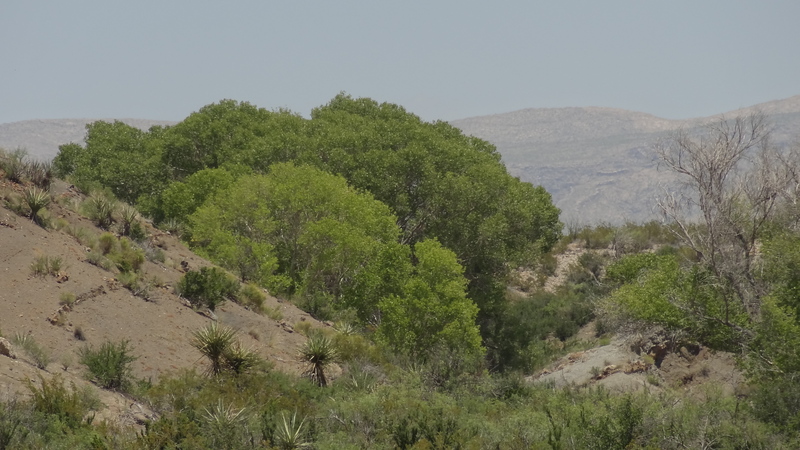 Vegetation includes mostly creosote bush, lechuguilla, grasses, and small mesquite. 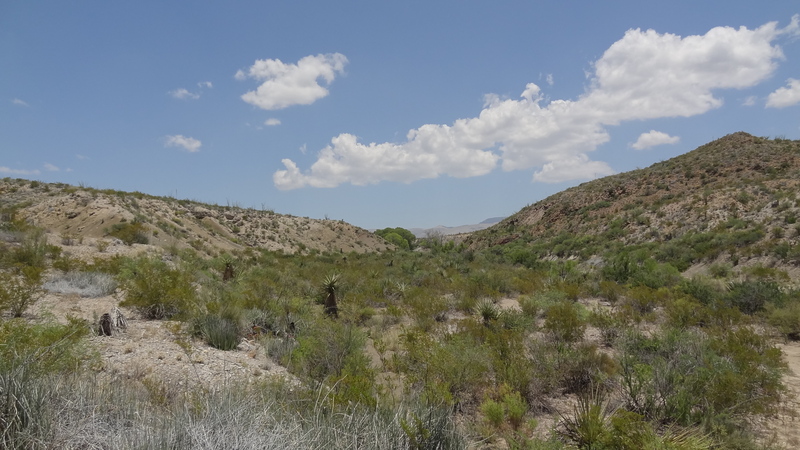 Cottonwood trees are visible 0.25-0.5 miles up the nearby McKinney Spring drainage. Great view of the Chisos Mountains to the southwest. Looking northeast up the drainage, the Dead Horse Mountains are visible. High clearance vehicles are highly recommended. Four-wheel drive may be necessary after rain. 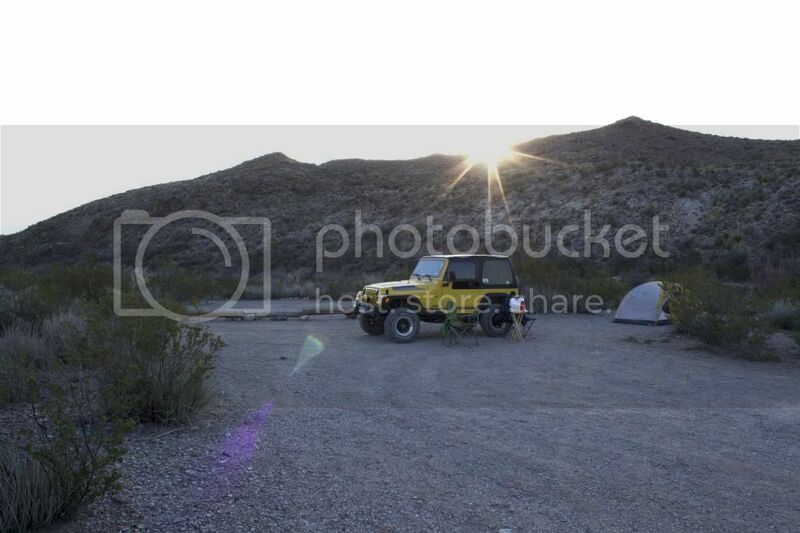 This campsite is located in a valley near the McKinney Spring creekbed. The site is protected from the wind (between two ridges). There is an easy "cul-de-sac" turnaround. This photo was taken March 2012. I had it labeled "Roy's Peak" however, I am certain it is McKinney Spring. Until some confirms this is McKinney Spring please don't take this for truth. If someone confirms it is not McKinney Spring, I'll take it down. Kevin- Thanks for your efforts in going by each site and providing photos. You obviously went out of your way to do this. Much appreciated. You're very welcome. The pictures are a help to me too and it didn't take long to swing into a campsite as I was passing by and snap a quick picture out the window of the pickup. Lsnead, nice profile pic of the Tetons! These pictures are from my July 23, 2015 drive down Old Ore Road from north to south. Pretty good sunsets at McKinney. My first night at BiBe, December 2014.